The outcome of the new tax is being watched closely as cities around the world struggle with the rise of so-called ghost homes: scarcely used residences in prime urban locations use by investors to park their cash. Critics say that’s driving prices and rents higher for residents. Vancouver Mayor Gregor Robertson declared the Canadian city’s new tax on empty homes a success this week, thanking the absentee owners of 8,500 properties for paying up. He was less conclusive about whether the tax actually did what it set out to accomplish. Hopes aside, there’s no sign yet that Vancouver’s near-zero supply of available rentals has eased since the levy took effect at the start of 2017. The outcome of the new tax is being watched closely as cities around the world struggle with the rise of so-called ghost homes: scarcely used residences in prime urban locations seen by investors as a safe way to park their cash. Vancouver and some London boroughs were among the earliest to impose taxes on empty homes with the aim of boosting the rental supply in tight markets — a strategy that’s now spread to Australia, and is being considered in Toronto and Dublin. For city coffers, Vancouver’s new levy was no doubt a winner. The city expects to raise C$30 million ($23 million U.S.) from the tax in the first year. That will more than cover the one-time cost to implement the system, C$7.5M million, and the annual operating cost of about C$2.5 million. Taxing ghost owners is also more lucrative than annual property levies. The empty-homes bill was as high as C$250,000 for at least one vacant multimillion-dollar home. That’s more than the roughly C$200,000 in annual property taxes that Lululemon Athletica founder Chip Wilson pays on his Vancouver home, Canada’s most valuable residence. “Those who didn’t rent their empty property and chose to pay the empty-homes tax, I just want to say thank you,” Robertson told reporters Monday, promising to steer the extra revenue toward affordable-housing initiatives. “I know many cities will study Vancouver’s model,” he added, saying it has received inquiries about the tax from across North America and beyond. If observers are watching for a dramatic improvement in the plight of renters, they may be disappointed. 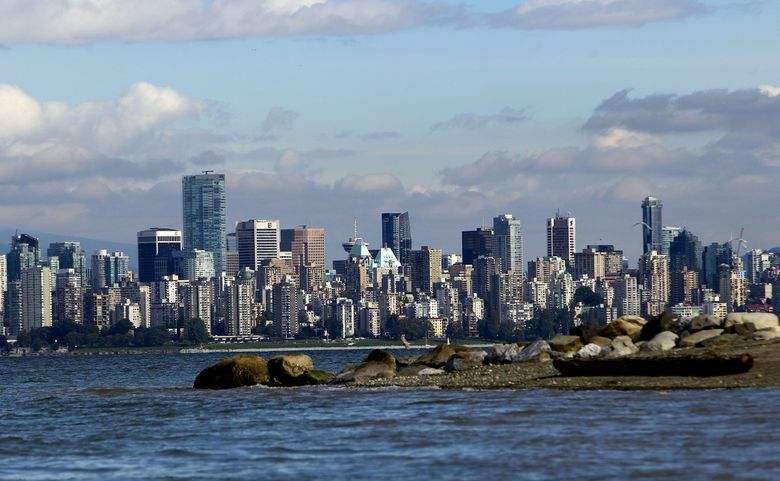 The supply of homes available for lease in Vancouver remained below 1 percent as of early October for the third year in a row, according to data from Canada Mortgage and Housing. When the city announced the tax in late 2016, it expected it would boost the rental-vacancy rate to about 3.5 percent. Determining what impact ghost properties have on local housing prices and availability is vexing, in part because it’s tricky to determine which homes are in fact empty. Vancouver’s program relies on owners to self-declare if a property was used or rented for less than six months in a year. If so, they are subject to an annual fee equal to 1 percent of the property’s assessed value. False declarations incur fines of up to C$10,000 a day. Robertson, who isn’t seeking re-election in October’s municipal ballot, has called the program a “carrot-and-stick approach” intended to capture ghost homes and help return them to the rental supply. “Those who are not playing ball here and who are skirting the system, we will get you,” he warned last week, saying audits are underway. By late 2016, amid mounting public frustration at spiraling housing prices, the city estimated some 20,000 homes were empty or “underutilized” when it proposed the tax. Months later, a study based on census data pegged the number of vacant dwellings at more than 66,000. Yet the new tax only captured 8,500 properties as empty, or 4.6 percent of Vancouver’s total housing stock — in line with the original study based on electricity consumption and, as a percentage, unchanged in the last decade and a half. The limited data available indicates the tax has neither ensnared a fresh batch of ghost homes previously unaccounted for, nor reduced the share of vacant units in the total housing supply.